Having recently launched ChromaLuxe EXT, Nova Chrome have received extremely positive feedback from customers and are seeing a growing use of this ground-breaking substrate. ChromaLuxe EXT has been developed specifically to equal the quality of the standard ChromaLuxe brand, whilst also offering superior UV stability – up to 5 years with recommended ink sets. 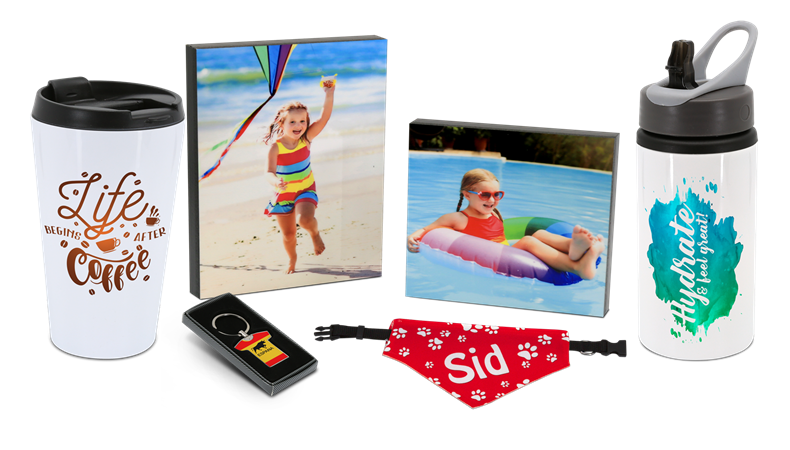 Available in a range of sizes, EXT offers the smaller print shop the ability to supply their customers with smaller format signage, easily, without investing in additional equipment. The company have also introduced a range of new products for autumn and winter 2018. These include new larger floor mats, reusable drinks containers, pet accessories, a selection of photo-gifts including free standing desk blocks and more. Nova Chrome are also authorised distributors for Sawgrass, offering the Virtuoso series printers along with a comprehensive range of inks, and the very best in support for these systems. To partner with this, Nova Chrome’s technical support team recommend S-Race paper by Felix Schöeller. Available in all traditional sheet and roll sizes, S-Race is Sawgrass certified and included in the company’s Virtuoso Print Manager software.